This is a cross-posting from Camden Council’s (UK) blog, where I also blog. Recently, Camden’s webteam has been talking to Will Perrin, Founder of ‘Talk About Local’ about the potential of engaging with citizens in Camden through hyperlocal blogs and local community websites. Just in case you are unfamiliar with ‘Talk About Local’, here is an excerpt from its website describing the project. Talk About Local is a project to give people in their communities a powerful online voice. We want to help people communicate and campaign more effectively to influence events in the places in which they live, work or play. To find out in more detail what ‘Talk About Local’ can do for you and what its doing for Camden Council, watch this video and hear it from the horses mouth himself, Mr. Will Perrin. 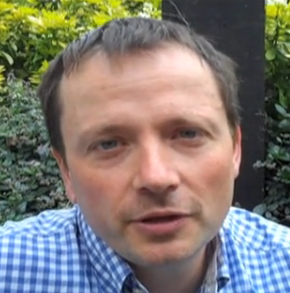 Will Perrin talks about ‘Talk About Local’ with Camden Council (UK) from Liz Azyan on Vimeo. Founder of Talk About Local – a project to empower hundreds of local communities to express themselves on the internet and former technology policy advisor to Tony Blair. William has a track record of innovation in public service. He catalysed the last great upheaval in communications regulation by driving through the Communications White Paper in 2000 that abolished seven regulators and created OFCOM. William went on to be technology policy advisor to Tony Blair. William was responsible for the world’s first Government use of YouTube, the world’s first government/third sector mashup, and was one of the team behind the Downing Street e-petitions system the world’s biggest online government engagement system until the Obama administration. William commissioned the Power of Information work in 2007. William is taking a sabbatical from the civil service to run Talk About Local an attempt to scale up his community activism on www.kingscrossenvironment.com to hundreds of communities. What are hyperlocal websites anyway? If you’re still a bit hazy on the whole concept, take a look at the examples Christopher gave that helps give you a better idea of what hyperlocal is and what it isn’t. Hyperlocal websites = Naughty school children? I think the biggest challenge we face sometimes is what I call the ‘I don’t want to know’ syndrome. Having been a researcher who was impartial to organizational policies, I often found that most councils treated or viewed hyperlocal websites like ‘naughty school children’ that needed to be punished instead of heard or just not taken seriously at all. There are some home truths that have lead us to where we are today. Given how the social web has evolved recently, its no wonder how its taken some people by surprise and reacting quite negatively towards the significant developments of our online communications and society. A lot of people have called this age “A brave new world” and I couldn’t agree with it more. We do need to be brave to face the changes as a government that wants to move forward and in line with the society it serves. Old media or new media – who breaks the news today? However the reality of it is hyperlocal website can actually help local councils to better understand the community they are serving. Hyperlocal websites can sometimes be the voice of a certain group in a local area that are sharing their life stories and only want to be heard. Most times its about a community of people with common interests or lifestyles who are locally linked together with no specific or politically driven agenda. And sometimes, since their lives are intertwined closely to their local well-being, its common for these websites to discuss council services and how they feel it could be better from their point of view. And usually when people choose to bring their problems to an open or public platform, its often because they are feeling frustrated and need to vent or seek for help. Why are local conversations important for local councils? from Liz Azyan on Vimeo. In the video above, Will explains why local conversations are important to local councils. We here at Camden realize that we need to find a way to listen in on those conversations without being authoritative, for example through consultations and other methods of collecting citizens feedback. Not that those methods aren’t reliable, but we feel that each method has a different goal or purpose. The main thing is, we all arrive at the same end product, which is ‘Better services for citizens of Camden’. Listening to local conversations often outlines a story to a community that builds a picture of how the community is changing or adapting to its surrounding. And changes happen everyday in our communities, therefore the picture changes and people need services to adapt to those changes more quickly and efficiently to allow them to live their everyday lives more comfortably. 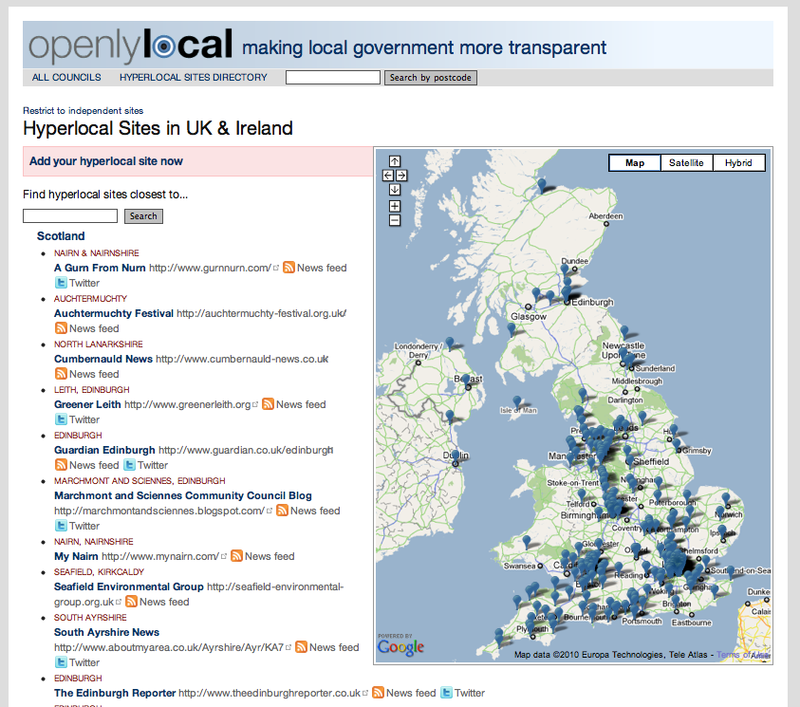 Local councils building their own hyperlocal website? So therefore, you might be thinking… why can’t a local council just build their own local community website so they can control those conversations. The video below, Will Perrin discusses the reasons why this is possibly not a good idea. Why local councils shouldn’t be the one to setup local community websites from Liz Azyan on Vimeo. The reality is people are the same online as they are offline. In the offline world, they talk to their neighbours, friends, family, at their local church or mosque and etc. In the online world, this concept does not change. People will be more open about their lives and the complexities they deal with in their everyday lives with people and in places they are comfortable doing so. Therefore having a council build a local community website most probably will not work and be difficult to build a community around anyways. The most successful communities online are built organically. And for the community to grow and interact with each other , the conversations need to be real life events based on their day-to-day problems. So if I’ve managed to spark enough interest for you towards hyperlocal websites, here’s a list of hyperlocal website kindly collated by Openly Local that lists all the hyperlocal websites currently active in the UK and Ireland. Also if you want to take some of Will’s recommendation of good hyperlocal website in the UK, have a listen in the video below. Good Examples of Local Community Websites by Will Perrin from Liz Azyan on Vimeo. Early last year, I came across Hugh Flouch the founder of HarringayOnline, a hyperlocal website for people who live in Harringay, London. He introduced me to the world of local government twitterers that lead me to where I am today. During my chat with Hugh, I asked about his experience running HarringayOnline and came up with some very interesting insights. The paper titled ‘Exploring Online Neighbourhoods’ will feature the background, tips, motivation, achievements and testimonials. “Camden’s webteam has been talking to Will Perrin, Founder of ‘Talk About Local’ about the potential of engaging with citizens in Camden through hyperlocal blogs and local community websites” – I Hope this goes well for Camden I’m sure it will. We @ http://www.sheffieldtalk.co.uk are in the process of creating something similar.